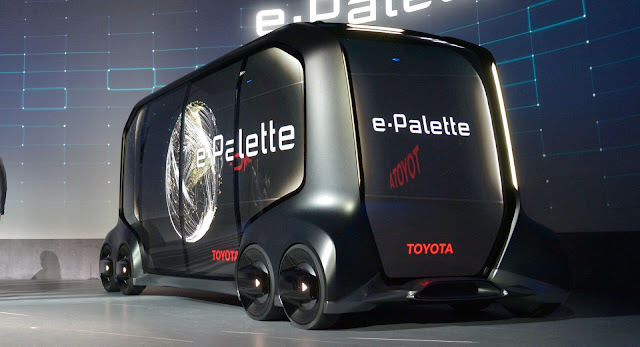 The Toyota e-Palette Concept, which is currently on display at the CES convention, is a flexible, all-electric vehicle with autonomous driving that can take on various roles. Toyota's versatile study can be outfitted with purpose-built interiors depending on the user's needs, and it can fulfill different roles, from pizza delivery to ride sharing. "The automobile industry is clearly amidst its most dramatic period of change as technologies like electrification, connected and automated driving are making significant progress", said Toyota's President Akio Toyoda. "Just as important, we are developing mobility solutions to help everyone enjoy their lives, and we are doing our part to create an ever-better society for the next 100 years and beyond." The Japanese automaker's latest venture into the future of mobility is part of an alliance that includes partners such as Pizza Hut, Uber, Amazon, and Didi, and the manufacturer plans to conduct feasibility testing all over the world, including the United States, in the early 2020s.